Ross River fever (RRF) is a viral, mosquito-borne, non-lethal tropical disease. It used to be called “epidemic polyarthritis”, since infection is characterised by severe joint pains. As the virus is often spread by the Aedes mosquito responsible for the transmission of dengue, yellow fever and Zika, many consider that Ross-River fever may have the potential to also spread across the globe, infecting millions. RRF is endemic to just Australia and Papua New Guinea, however – there have been outbreaks of arthralgia (joint pain) and arthritis (joint inflammation) recorded around Australia since the 1920s. The virus was first isolated in 1959 from a mosquito along the Ross River Valley in Queensland – hence the name. Ross River fever is the most common mosquito-borne disease in humans, in Australia. Nearly 5,000 people are reported to be infected with the virus each year, although there is likely to be significant under-diagnosis and under-reporting. RRV infection is characterised by fever, pain in the joints, loss of appetite and weakness. It has similarities with another viral, mosquito-borne infection called Chikungunya that also causes painful joints. In nature, RRV is passed back and forth between animals and mosquitoes. People can only catch these viruses after being bitten by an infected mosquito. RRV cannot be caught from direct contact with another person or animal. The natural reservoir hosts of the Ross River virus are large marsupial mammals, particularly kangaroos and wallabies, although the virus has occasionally been found in larger animals, including horses. These animals harbour the virus without themselves suffering any symptoms of disease. The virus is amplified in the mammals and can then be transmitted to uninfected mosquitoes that bite the mammals and then in turn, infect humans. Several mosquito species act as ‘vectors’ (transmission agents), the most common of which belong to the Aedes group – these mosquitoes are more active during wet seasons. Inland, where it tends to be dry and arid, the Culex mosquito is the main carrier. Approximately 1 in 3 people will develop symptoms after being bitten by an infected mosquito. Ross River fever commonly presents between 3 days to 3 weeks after being infected. enlarged lymph nodes under the armpits or in the groin. The fever, nausea and skin rashes usually disappear within the first 2 weeks of illness. Joint, muscle and tendon pains may last much longer and can be distressing. People also often experience severe tiredness. Severe symptoms or those that last a long time can cause emotional distress or depression and affect family, social and work relationships. Some adults recover within 2 to 6 weeks of being infected, while others will still be unwell after 3 months. In rare cases, symptoms can persist for up to a year or more, but complete recovery is eventually seen in all cases, with no long-term joint damage or complications. Children can also be infected with RRV but symptoms tend to be milder and the illness often doesn’t last as long. In anyone with characteristic symptoms of polyarthritis and rash, within the endemic area (or following travel to such an area), blood tests need to be sent to specialist labs to detect specific antibodies for RRF. A second blood test is required two weeks after the first to confirm diagnosis. This will allow early treatment. There is no specific medical cure. Treatment focuses on reducing the joint pains and minimising the fatigue. Sufferers are now simply offered non-steroidal anti-inflammatories or corticosteroids to treat the debilitating symptoms. Since these drugs may be necessary for a prolonged period and have a common side-effect of causing inflammation of the stomach, other medication is usually also prescribed to prevent this from occurring. Other strategies such as exercise and swimming, and physiotherapy or hydrotherapy may also help to facilitate recovery. Those who suffer emotional stress with the severe debilitation and fatigue may also require psychological support. A new drug, at the trial stage in Australia, works by rebuilding the damaged cartilage in the joints and reducing inflammation, thereby preventing much of the pain and fatigue associated with the virus and limiting the length of illness. There is no vaccine to prevent Ross River fever. Control mosquito populations with larger scale residual chemical sprays. Most people who have been infected with RRV will develop immunity against the virus, meaning that they won’t develop symptoms of RRF again. As well as Australia and Papua New Guinea, where it is endemic, RRV has also caused large epidemics in several islands of the South Pacific. The largest ever outbreak of RRF was in 1979–1980, involving over half a million cases, occurring in the Western Pacific. The outbreak, probably imported by an infected person arriving from Australia, involved the islands of Fiji, Samoa, the Cook Islands, and New Caledonia. However, it does not seem to have become established there permanently. The evidence suggests that one of the Aedes group of mosquitoes was the primary vector and that human-mosquito-human transmission predominated without substantial involvement of non-human vertebrates in virus amplification. Once the epidemic ended, Ross River virus evidently disappeared from the region, possibly because of the lack of suitable marsupial reservoir hosts. The ‘southern salt-marsh mosquito’, also of the Aedes group, which is known to carry the Ross River virus, was discovered in Napier, New Zealand, in 1998. Following an 11-year program by the New Zealand Ministry of Health, and later the Ministry of Agriculture & Fisheries, the species was declared completely eradicated from the country in July 2010. As of September 2006, there have been no reports of Ross River virus acquired within New Zealand. Ross River fever is endemic in Australia and Papua New Guinea, but is also found in several South Pacific islands. 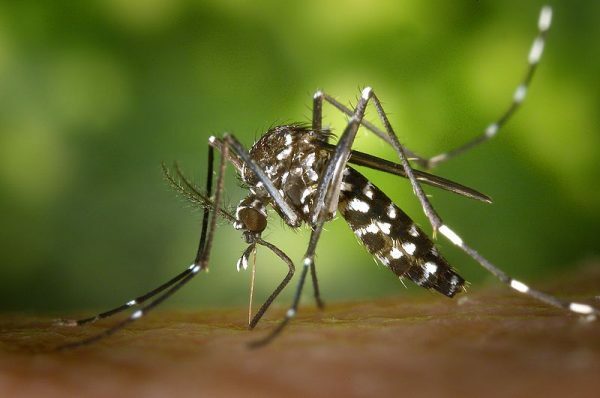 It is caused by the Ross River virus that is transmitted to humans by the bite of infected mosquitoes. It causes a non-fatal, flu-like illness with fever and aches, and this gradually progresses to joint pains, skin rash and extreme fatigue. Diagnosis is by serial blood tests. Treatment is aimed at reducing inflammation in the joints with non-steroidal anti-inflammatories. There is no vaccine and thus preventing mosquito bites and reducing mosquito populations are important strategies to reduce RRF.